This entry was tagged Andalucía, cost of living, East of Malaga, Europe, Food, life, lifestyle, Malaga, photography, shopping, Spain, travel. Bookmark the permalink. I’m looking for the right city in southern Spain. Good value, fun to live there. Pretty to look at and places to visit and enjoy near by. A wow! Nice place to live! How much is a new car/not the cheapest necessarily but not expensive either? How can I stay longer than just three months? God Bless you for all the help and dedication, thanks! My wife and I are going to alicante early February for a weeks holiday and will be looking to long term rent around April next year so using this weeks holiday to put our feelers out. We have a problem and that’s a Rottweiler dog we would like to bring him with us when we move but understand they are not a desirable breed in Spain. Hi Ken – thanks for getting in touch. I’m afraid I have no experience of bringing dogs into Spain, so I can’t assist you. I wonder if there are any expat groups on Facebook that might be able to answer your question? Worth a try. Just wanted to ask what would be a comfortable monthly income in Euros for a family of 5 to live in Marbella? Considering I will be buying the property and I don’t need to worry about rental. Thanks! That’s so hard to say – as it all depends on the kind of lifestyle you live. We have a great life (owning our own house) spending about €1000 euros per month, but we are just two adults with no debts, and we do lots of “free” things like walking, going on the beach or visiting villages etc. It’s a bit like asking “how long is a piece of string”? Everyone is different. Great info. Concise and crisp! :! Great information – it would also be great to see one monthly total somwhere too – do you have this by any chance? I’ve deliberately not put a monthly total, because expenses are very subjective. I’ve given monthly or annual figures of items I know – but so much depends on whether you rent or buy a property; how big that property is and for how many people; how long you put your heating or air conditioner on for, how much you want to travel around or eat out or at home. What I can do is compare the cost of living in Spain to what similar costs would be in the UK (because I lived there until 10 years ago and still return regularly to see friends and family …. yet another expense, LOL), and I would say that it’s cheaper to live in Spain. Exchange rates can play another factor – depending on whether you get €1.51 to each British Pound (as we did when we bought our house) or €1.08( which is the lowest we have received since we moved here). Which area are you thinking of? I live about 50 kilometres to the east of the city, so to be honest, I really don’t know the best neighbourhoods to choose to live in. 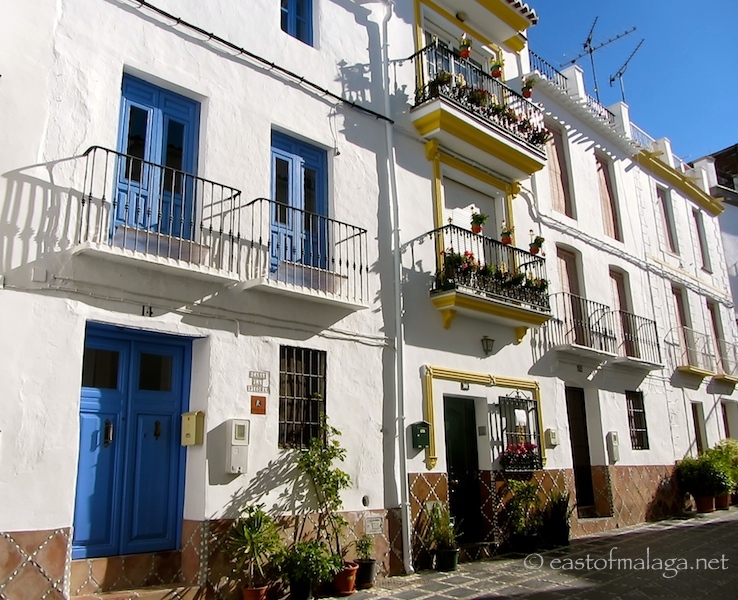 Malaga is a GREAT city – I always enjoy visiting and occasionally staying overnight. There is such a vibrant atmosphere with the newly commissioned Street Art in the bohemian SoHo district, and the new port area – Muelle Uno – which even has a Michelin starred restaurant! Hello, so my question is: what do you bring back with you from UK? You listed medicines and tea. What is on your routine shopping list while you’re packing up that suitcase to go back south? My friend in France always brings back ibuprofen. I always used to buy Fructis hair conditioner in bulk while in Spain, and was so delighted when I saw the brand carried over to our markets here (USA). As a tourist on a six week home exchange to Amsterdam, I spent about $62 a day (USD) and categorized them as food, transportation, things, and entertainment like museums. I have to did that list out and examine it thoroughly before my upcoming trip to Spain. I guess if I have to say a couple of things I would love to have locally (but can’t) are full-sized UK Sunday newspapers instead of the tabloid-sized reduced information kind we get here – and Boots the Chemist shop (national chemist-chain shops are not permitted by law in Spain). Whereabout are you thinking of visiting in Spain, Tanya? where do I plan visiting? I have Home exchanges set up: a few weeks in Bilboa and a few weeks in France near Talouse. I’m looking into a situation in Bejar which is near Salamanca. I have a “street” budget of $900 a month (everything except housing.). Having spent $62 a day in Amsterdam I am wondering how I will manage on 30 in Spain. In Amsterdam the daily transportation was expensive and we ate out two meals a day. (let’s not even mention the two scarves I bought at €50 each. I didn’t quite consider that conversion into US dollars when I made the purchase. What an extravagance!). I have to assure myself that I will be able to get by on $30 a day prior to sending out more requests for home exchanges. At that point, I’m going to a request exchanges in places as varied as Vigo, Madrid, Mijas, etc. If I cannot get home exchanges worked out to fill the entire time, I’m looking into workaway.info for exchanges of work for room and board. Most of it is hippy, live off the land stuff, but I have found a few (a very few) women “of a certain age” who are looking for household help or help in the garden, or just companionship after the death of their spouse. I have been to Spain about 10 times (ranging from two weeks to 2 months) and have always either taken a hotel or rented a vacation apartment. This will be the first time to cash in on some of my home exchange trades from the past. And, God bless my little heart, what 60-year-old in her right mind would think of a volunteer/room&board exchange!?!? Good luck with your plans, Tanya – you are certainly picking some nice places to visit. You might be surprised to learn that I know of two women in their 50s who regularly use either workaday-type arrangements or even couch surfing (couch surfing.com), very successfully. I enjoyed discovering your blog…I came over from Tanya. What a wonderful post for anyone thinking of moving. It is always important to do your homework. Always important …. research, research, research! Glad to be of help, Joe – if there’s anything else I can help you with, give me a shout, won’t you? You have a knack dear lady. I’m pleased that the supermarket prices are stable, and to hear there are bargains at the street markets but you are so right in following up with the considerations. Since we’ve been back from holidays life has been less than routine so I have no real basis to compare anything much. 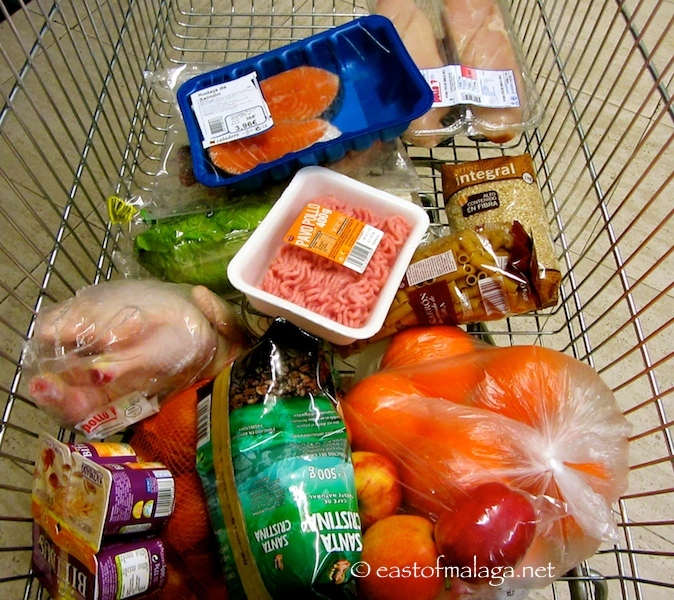 At the moment our grocery spending is stable but we vary from grabbing things at the local convenience store – expensive-ish but good quality, farmers markets – seems about the same but seasonal, to eating from the freezer – free, to eating out – not too expensive within reasonable limits. The only pricing anomally I’ve really noticed has been the price of avocados at the supermarkets – an outrageous $4.99 per kg, and NZ available. Thank goodness when we are at TA my aunt who lives nearby-ish has a tree but I’ve not had an avocado since mid January as I refuse to pay that much. As you know, Ella, I have considerable experience of spending lengthy periods of time in Australia, and have been shocked at how much the prices have risen over the past few years in particular. Of course, that is offset against the generally higher salaries paid to workers (particularly compared to Spain), but it’s all relative. Like I said – what’s important is what’s left at the end of the month when all the bills have been paid. Plus, everyone has their own idea of what they consider to be acceptable to them – which is exactly how it should be. The thing we both agree on is that it is an informed choice that is keeping you from moving to your beloved Taylor’s Arm later rather than sooner – because you have considered all your options. At least you know that when you finally make that move, you won’t have to sell up and move somewhere you don’t want to live because you were reckless in making that decision. AND, in the meantime you get to enjoy the delights of Sydney on a daily basis. been following your reguar pricing list for a year or two now. Great to see not a lot of change. We are moving out for good to Frigiliana in September, so I will keep an eye on your update in August. OH I love Frigiliana. We rented a house there for the first year we moved to Spain, before we bought our house. Your coffee and oil are really cheap but generally the gaps don’t seem as wide this time. Funnily enough, I went into another supermarket today (only 200 metres away, called Supersol) and bought 5 litres of extra virgin olive oil on special offer for 10.99 euros!! 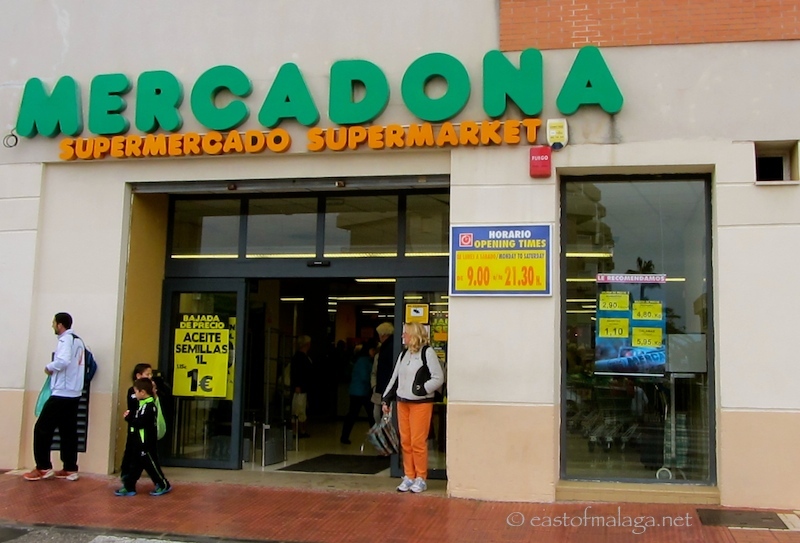 Excellent post (and I see that we shop at the same Mercadona in Velez! )…so wise to point out that it’s not just about groceries when considering the cost of living in Spain. I do pop into the one in Velez occasionally, if I’m nearby, but the one in the photo is my closest, in Torrox Costa. Yes, very high, Amy. I wonder that myself sometimes, though there does seem to be a very good family network tradition here. Times are hard for many people. I hope things pick up soon. An incredibly informative post detailing very important things. At times, people see the life of others and feel they see perfection. There are always more factors to consider. I think thoughtful planning should be done no matter where one decides to move. Great Marianne. You always have the best posts. You’re too kind, Isadora …. thank you. It’s a big decision moving to live in another country. I should know. Whilst I’m by no means trying to put anyone off, I’m always amazed how many come to Spain without a thought for any further into the future than the next month! Great advice, Marianne! This is very helpful, especially the grocery list, as I’m planning on moving to Spain in September. Thank you! You’re welcome, Mike. If you need any more help give me a shout, won’t you? Good luck. Where are you moving to? I’ve applied to teach English in Spain through the Spanish government. I will most likely end up somewhere in Andalucía. I’ll definitely give you a shout if I need any help. Thank you! Really interesting. This type of cost comparison is an exercise that I always plan to do but never get around to. Also great advice at the end there for anyone thinking of moving here. You have to look at the whole picture or be prepared for a few surprises! I do this kind of exercise every six months or so. I’m always interested to see how prices compare – and they’re not always how I think. Ironic that the Spanish retail prices index published last week was the lowest in 52 years – in fact since they started recording it, yet in the same week a carton of the ‘cardboardeaux’ Don Simon Tinto went up from 1.20 to 1.30 euro in my branch of Mercadona! There should be marches on the streets! Hey – we survive though, us expats! That’s it Marianne, you’ll have a drove of new immigrants before the month is out. It’s been a very useful exercise for me too, Sandra. I’ve often thought that prices were rising faster than they really are – but when I look back at the figures from last year, or the year before, I can see the true picture. So glad I came across your blog – it is jam packed with excellent advice and information. Good teabags are sometimes difficult to come by. I usually either bring plenty back from UK trips, get them when I go to Gibraltar or ask visiting friends or relatives to bring them. Having said that, they are available at a price from expat English shops at usually about twice the UK price. Good luck with your move, Kay – you’re going to have such fun! We are currently living on a very tight budget but despite that, we eat very well. Having recently moved from Indonesia, I was expecting our weekly food bill here in Andalucia to be much higher, in fact its not and in many ways living here is much cheaper and the quality and freshness of the food is superb. Once a week we go to the open air market in Alcala La Real and buy all our fruit and vegetables for the week (topping up what we run out of at Mercadona) A friend told me the other day that she bought 3 kilos of cherries at the market in Granada for 1 euro! The things I do find expensive are items from the pharmacy – Paracetamol and Asprin and most medicines I find are double if not treble the price of the UK. The other big benefit of living here is fresh fish and seafood. It is excellent value and a fraction of the cost of UK prices. I bought a kilo of sardines on Saturday for 3.50 euro and a kilo of fresh mussels for 1.50 euro – a veritable fish banquet for under a fiver! Absolutely right, Lottie – the fish markets/counters are usually very good value. Like I said, the Mediterranean diet with lots of fresh fish and vegetables is a good, healthy and relatively cheap option. I’ve only looked at supermarkets here … but I’m going to be adding later articles about shopping at different kinds of outlets including street-markets (and pharmacies). Certainly there are sometimes very cheap prices – but 3 kilos of cherries for 1 euro – WOW!! I wonder if they were packing up at the end of the day? The thing is here (as you well know) that fruits like cherries and strawberries are sold seasonally – which makes them generally cheaper. You mentioned another thing about medicinal items which, of course, are not available in supermarkets here in Spain, like they are in the UK. You’re right, they are more expensive here. To be honest I usually bring these kind of items back from the UK when I visit. Good advice. I used to think I would like to live elsewhere but now I am happy in the UK! Thank you Marianne that is very helpful. If you need any more help, give me a shout.